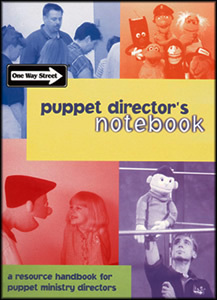 Every puppet director should have this Director's Notebook! Â Â Â It includes how-to pages for preparing, organizing, recruiting, rehearsing and planning puppet team performances. Â Includes CD-ROM with printable versions of all forms in PDF format.